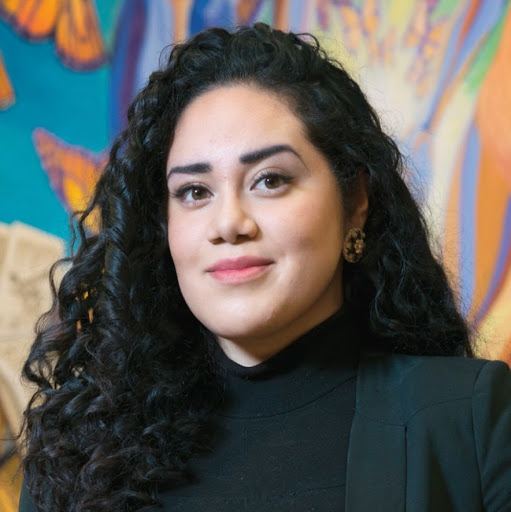 Pam Campos-Palma is an impactful political strategist, movement leader, and organizer with an impressive record in international policy, civics, and social change. Pam served in the US Air Force for over a decade as an operations intelligence analyst, specializing in geopolitical strategic analysis, counter and anti-terrorism, and as an aircrew intelligence trainer, and served in Germany, Kyrgyzstan, Iraq and Afghanistan. Pam has been recognized internationally for her leadership and innovative coalition building, served as a gubernatorial appointee in the state of Oregon, and focuses on issues of peace & security, justice, and strengthening democracy with an inside-outside strategy that bridges the grassroots and grass tops for transformative change. Her core passion is crafting innovative, human-centered foreign policy and national security as a "people's issue" and transnational solidarity building. In 2016 alone, Pam served as an international consultant for the United Nations Population Fund (UNFPA) in Eastern and South Africa, as strategy team lead in Guatemala for a global social venture, and with a poverty-relief NGO in Honduras. She was named a "Top 40 Under 40 Latinos in Foreign Policy" by Huffington Post that same year. Most recently Pam served as the Executive Director of a national base building organization (PAC) of progressive veterans and military families. Through her trusted leadership, vision, and organizing across issues, she's been a pronounced catalyst for military members, veterans, and families' reclaiming their stories, service, and building their independent political voice and power.